Now you can wear the Rock Hall head to toe! 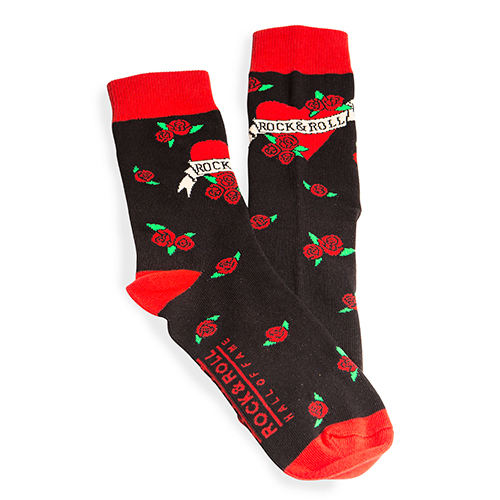 The Heart Tattoo unisex socks feature a rock n roll heart tattoo logo on the front with small roses all over the sock. 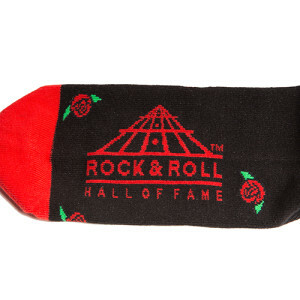 The black sock with red cuff, heel and toe is complete with the Rock Hall logo on the soles. Socks are One Size Fits Most. 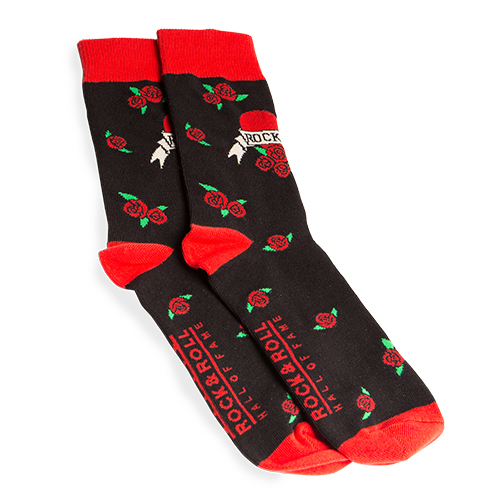 73% cotton, 25% nylon, 2% spandex.